If anything, the above quote doesn’t do Lennon’s career justice, as he was so much more than a rhythm guitarist – he was also an extremely talented pianist. 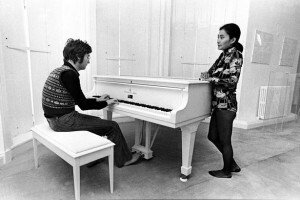 This iconic upright piano, built in Hamburg in 1970, was bought by Lennon in December of that year. Little over a year later, he had composed ‘Imagine’ on it (and it features prominently in the song’s iconic music video shot at his Berkshire countryside home). After Lennon’s tragic death, it was bought by a private collector in 1992 before being sold anonymously at auction for £1.45 million, eight years later. The buyer, it turned out, was none other than George Michael – and he is reported to have outbid Liam and Noel Gallagher and Robbie Williams for the famous instrument. Michael bought the piano so that it could be “seen by the people” and even loaned it to The Beatles Story in Liverpool for a short period of time. 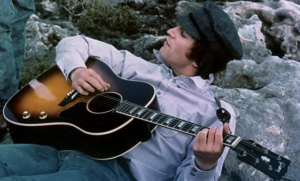 Back in 1962, before the heights of Beatlemania, Lennon had his eye on this iconic instrument, which was one of the first acoustic-electric guitars produced by the Gibson Guitar Corporation. The only issue was, he couldn’t afford it. 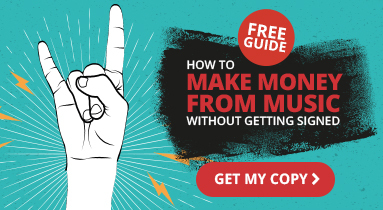 This was where The Beatles’ band manager Brian Epstein stepped in – in September 1962, he purchased two of the Gibson J-160E acoustic-electric models for Lennon and George Harrison for a grand total of £161.05 each, which equates to around £3,000 in today’s money. However, it mysteriously resurfaced in San Diego, California in 1967, and was recently bought at auction in Beverly Hills for a cool £1.6 million, making it the most expensive guitar ever sold in a single private transaction. It’s difficult to sum up just how iconic this instrument was in the context of Lennon’s career. Inspired by Paul McCartney, who was the first Beatle to purchase a Casino, Lennon and Harrison bought Casinos of their own in 1965, with Lennon picking up the E230TD model. This was Lennon’s main musical instrument during The Beatles’ golden creative period from 1965 to 1967 and for the remainder of his time with the band. It was first used on the Rubber Soul recordings and thereafter featured in Sgt Peppers Lonely Hearts Club Band, Revolver and The White Album. Not too bad a repertoire, we think you’ll agree. Far from being consigned to the studio, however, Lennon’s Epiphone Casino also made a legendary public appearance in January 1969. Even though The Beatles had ceased touring by 1966, they played together for the final time at the top of the Apple Corp. building on Saville Road in London. Lennon had the Casino in his arms as the group filmed their farewell Let It Be concert in front of dumfounded onlookers. 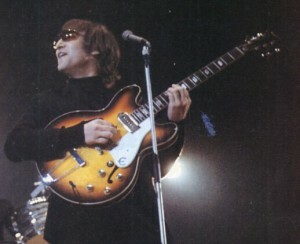 Its design had changed slightly since Lennon bought it, however, as he had the pick guard removed and the paintwork professionally stripped off. This isn’t one of the first instruments that springs to mind when you think John Lennon, but its significance should not be understated. He bought the Les Paul Junior in the early 1970’s, just after The Beatles’ broke up. Initially, it had a single P-90 pickup with a black cover, a wraparound tailpiece and Kluson tuners. But, in typically innovative fashion, Lennon took his Les Paul to New York to be modified by New York guitar luthier Ron DeMarino. Lennon told DeMarino he wanted a “humberdincker” pickup in it, to help achieve a more clear and powerful sound. DeMarino added a Charlie Christian pickup to the Les Paul junior and the results were immense. 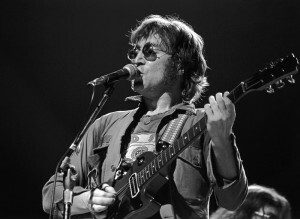 Lennon played the redesigned Les Paul Junior during his iconic live performance on August 30, 1972 at New York City’s Madison Square Garden. This was one of his greatest live performances, and his first on stage for several years. If, like John Lennon, your instrument is your pride and joy, you need specialist insurance should the unthinkable happen. Thankfully, you’re at the right place. Insure4Music offers 24/7 equipment cover against theft, loss and damage, both at and away from home and in your vehicle. We also offer specialist Public Liability insurance and Personal Accident cover. 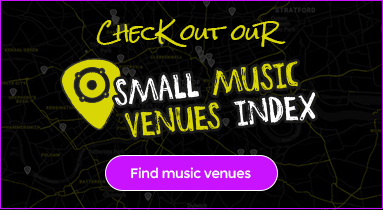 For tailor-made music insurance, get your instant quote online today!